Classic wood decking sure looks good, but it comes with a lot of maintenance. That’s why composite decking is a populor option for people looking to stay away from the potential splinters and staining sessions. Composite decking needs to maintain the look of real wood for a long time, which is why Americhem offers premium color masterbatches that keep the faux option looking excellent for longer. Good composite decking has to pass the eye test. A big part of having a product look like real wood is to effectively mirror woodgrain patterns, which is why Americhem came up with our nGrain® simulated woodgrain technology. nGrain® is compatible with various resins, giving composite decking the look of natural wood, with realistic streak types and grain patterns built directly into the formulation. Decking should be built to last. Real wood can worsen with age, with splintering, mold, and fading colors as eventual possibilities. Americhem can help composite decking look good for a long time, as nGrain® is designed with durability in mind. Still not sure about how your composite decking will hold up to Mother Nature? In order to maintain color retention and functional longevity, we can test your products in our weathering testing facilities, allowing us to determine just how they will react to long-term exposure to UV light, heat, moisture, and humidity. People want to enjoy their deck and not have to constantly maintain it. 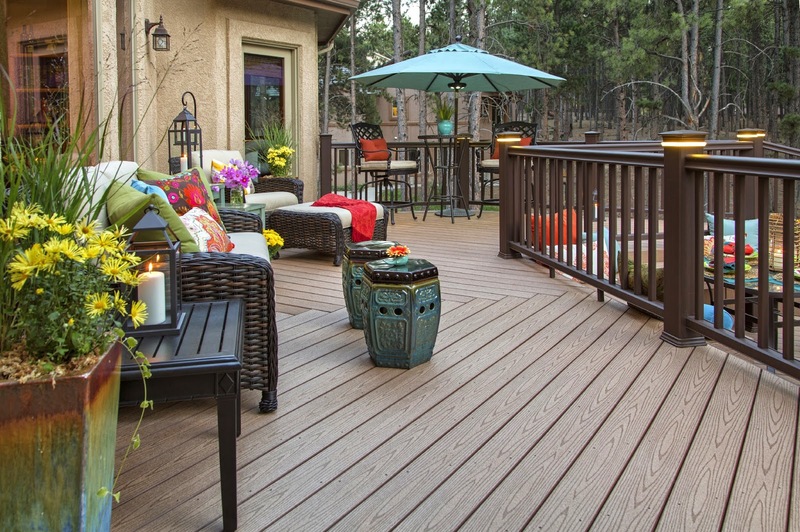 Composite decking enhanced with Americhem’s custom color masterbatches can look just as good as a wooden deck and maintain its quality for much longer. Give us a call at 1-800-228-3476 or contact us online to see how Americhem can benefit you.